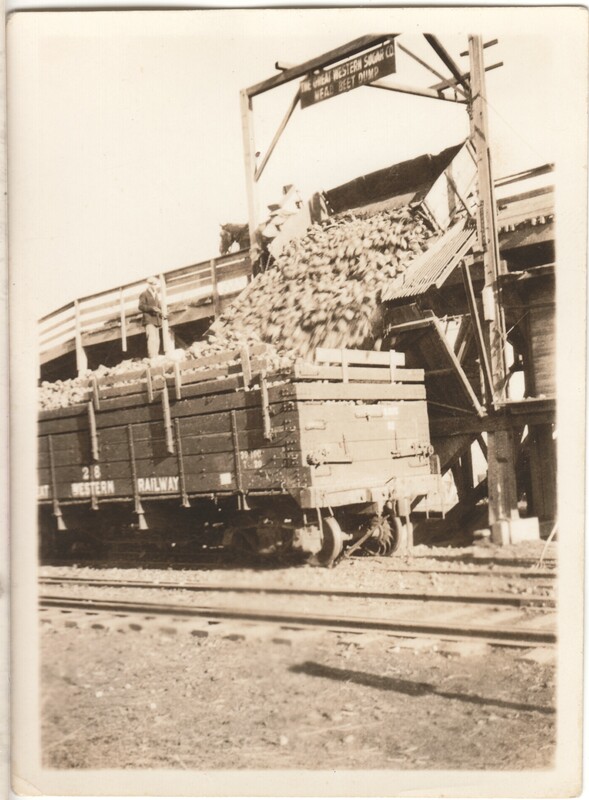 Dale borrowed a photo collection from Wayne Nelson. 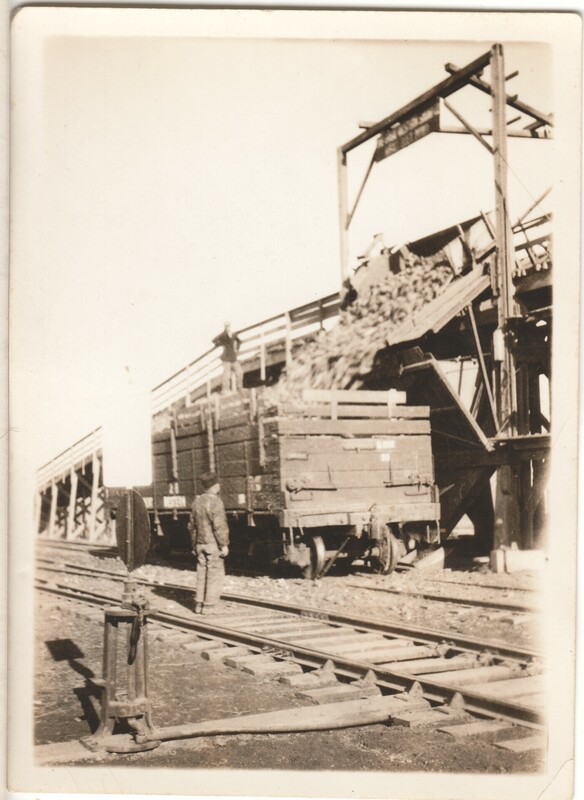 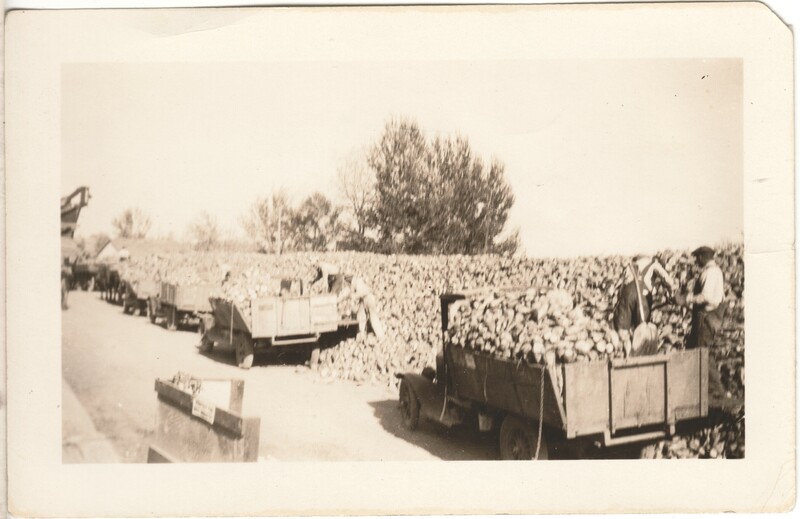 The photos belonged to Wayne’s parents, August and Freda Nelson. 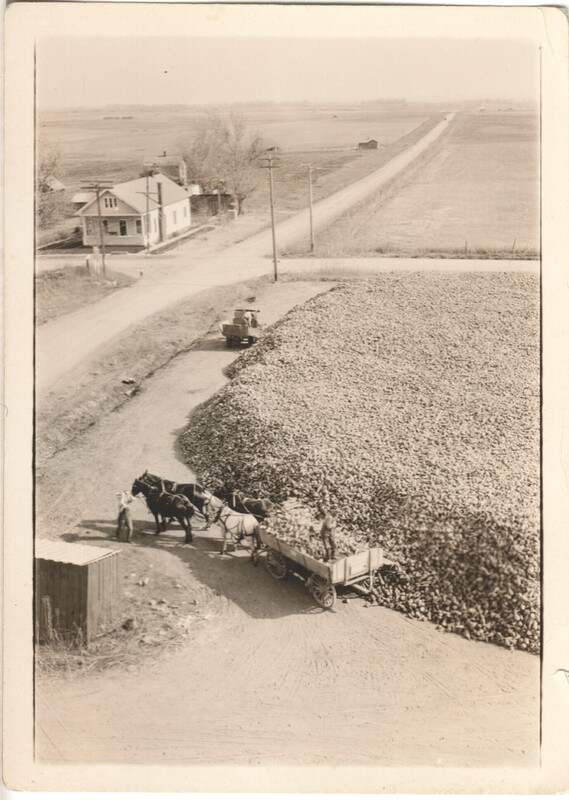 The Nelsons used to live on Road 13, just north of the St. Vrain River – the old house that Dale grew up in. 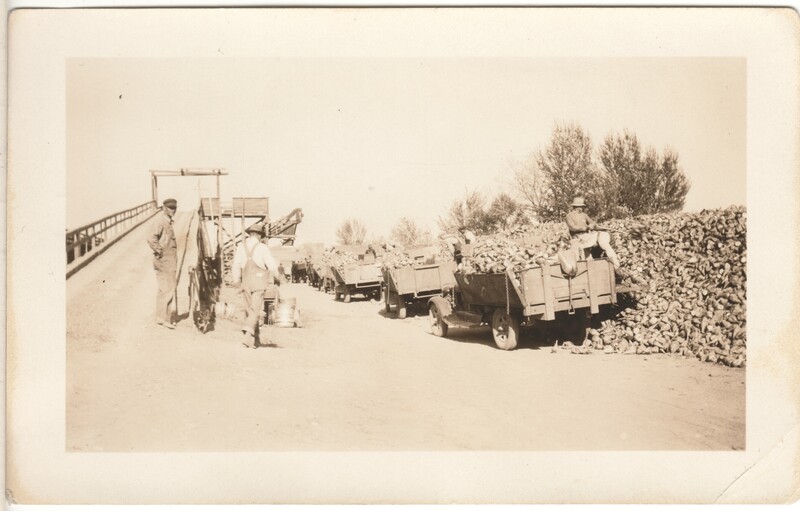 These photos were taken on a fall afternoon at the corner of present-day Weld County Road 7 and Welker Avenue. 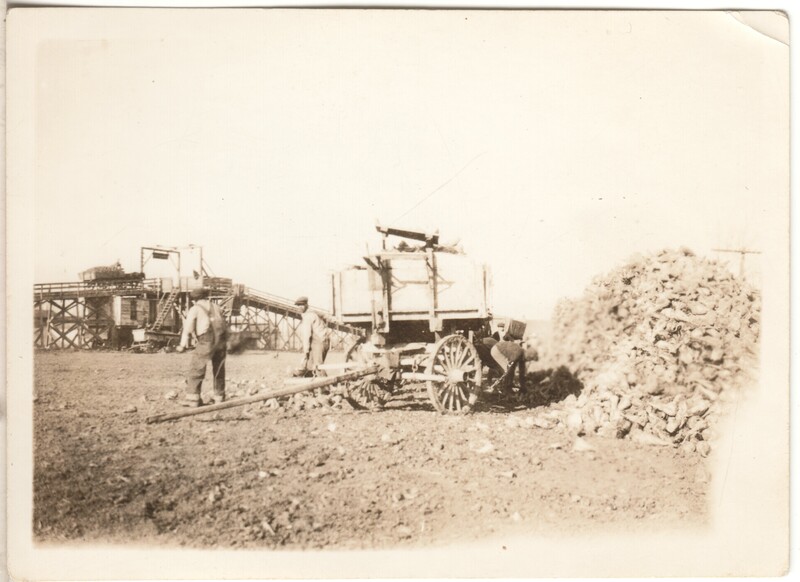 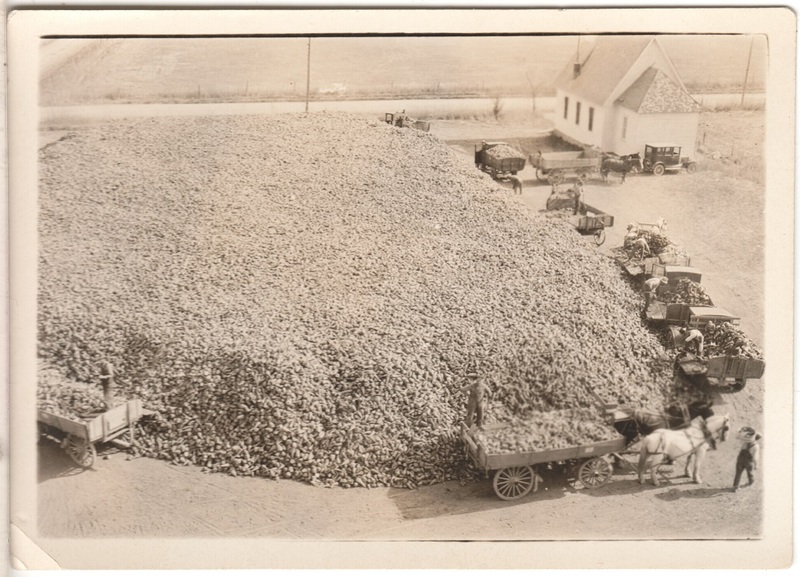 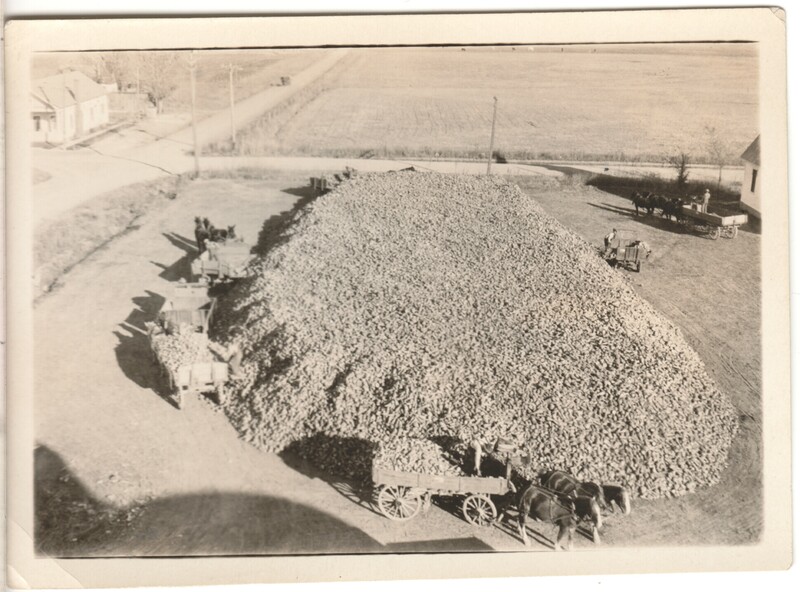 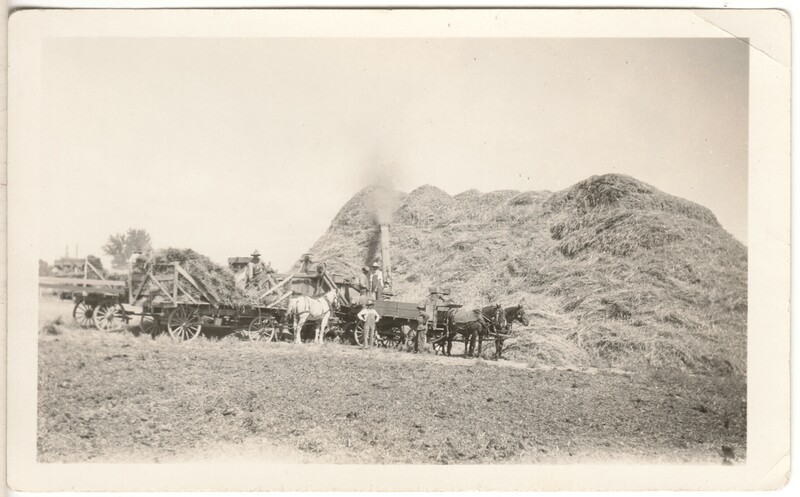 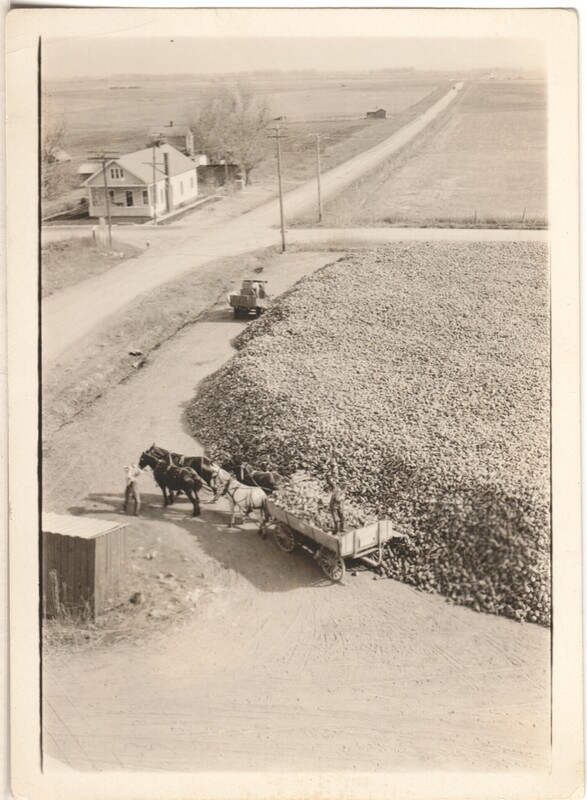 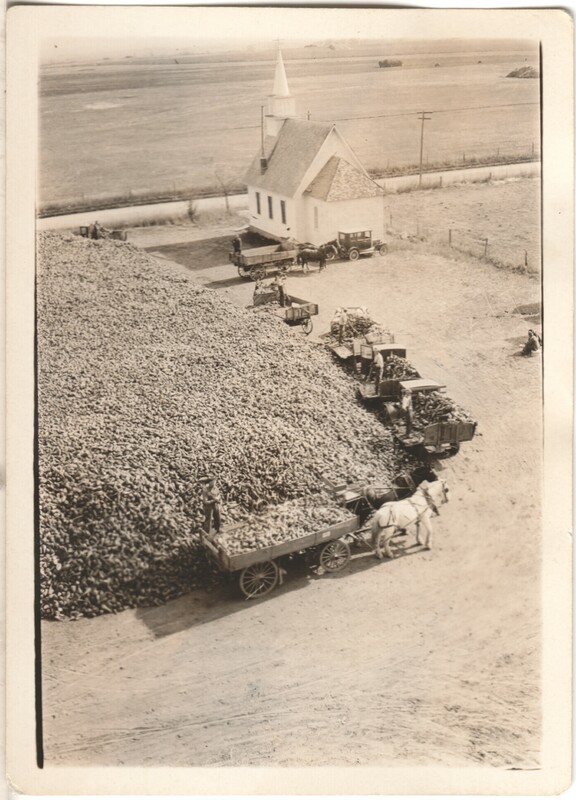 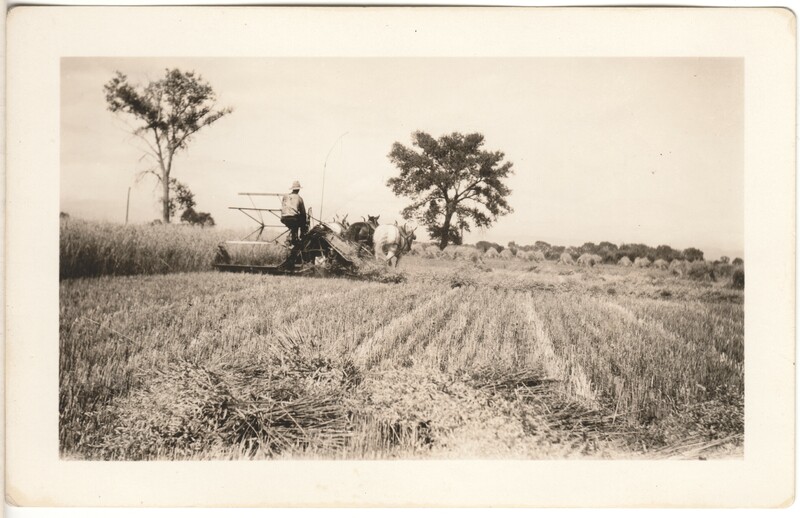 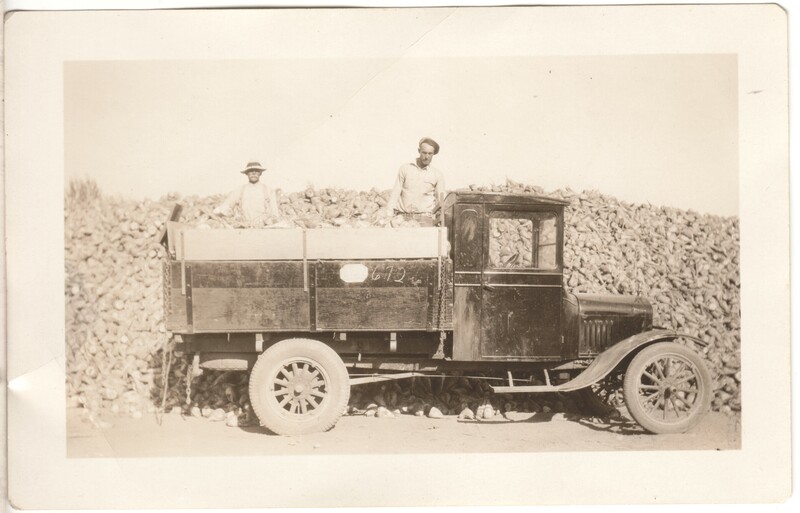 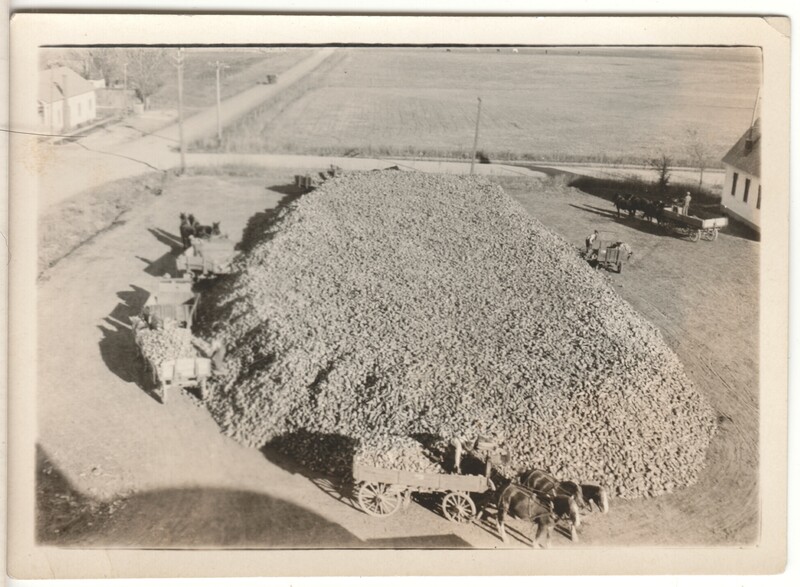 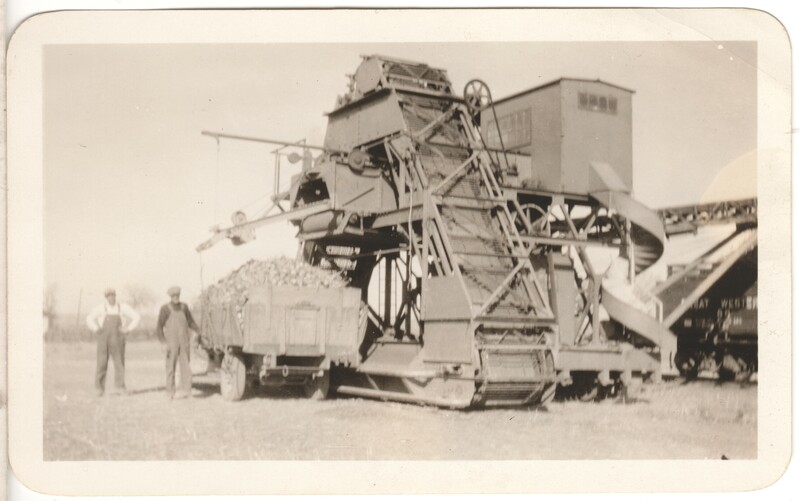 It looks as though beets are being piled on both sides of Welker Avenue, and the photos are taken from some sort of grain elevator that would be located near today’s Post Office. 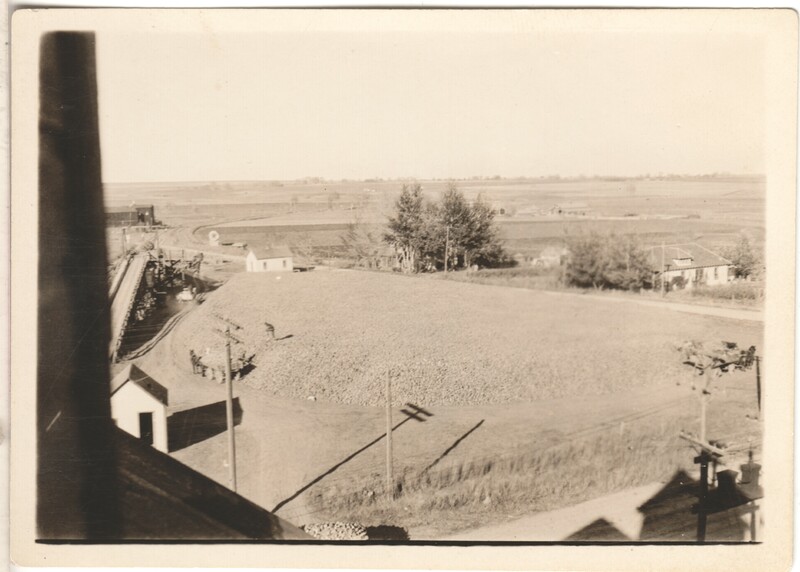 Some photos are looking east toward Guardian Angels Church, and some are looking north toward what would today be the Co-op property. 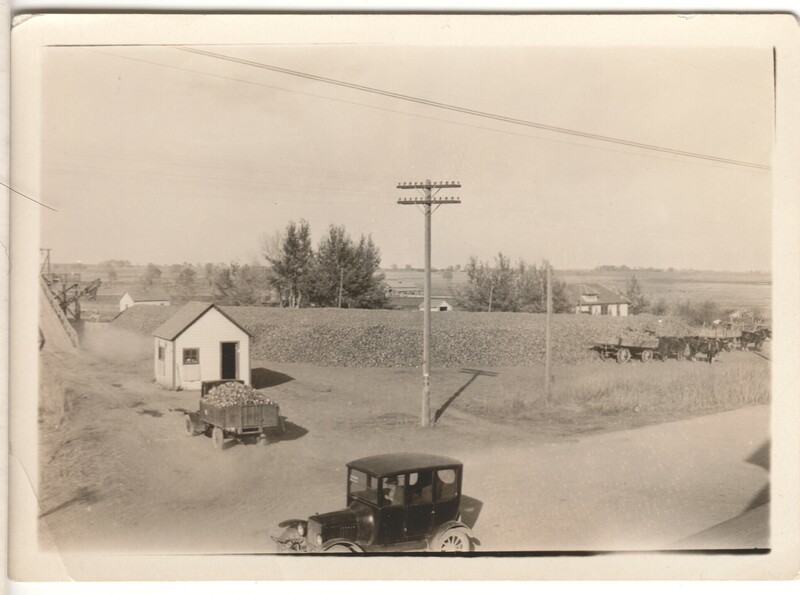 Notice that these photos were taken before the church building was enlarged to its present size. 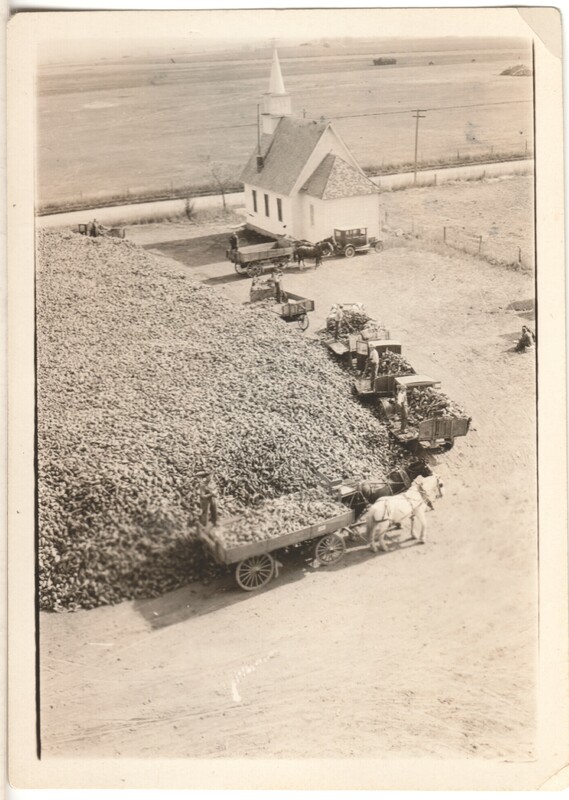 The old steeple is still on the church. 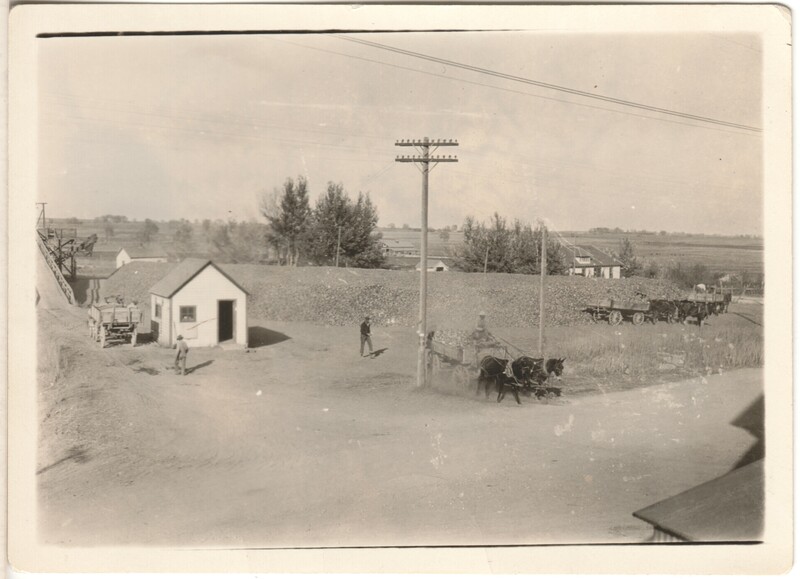 Someone who knows cars would be able to help date these photos. 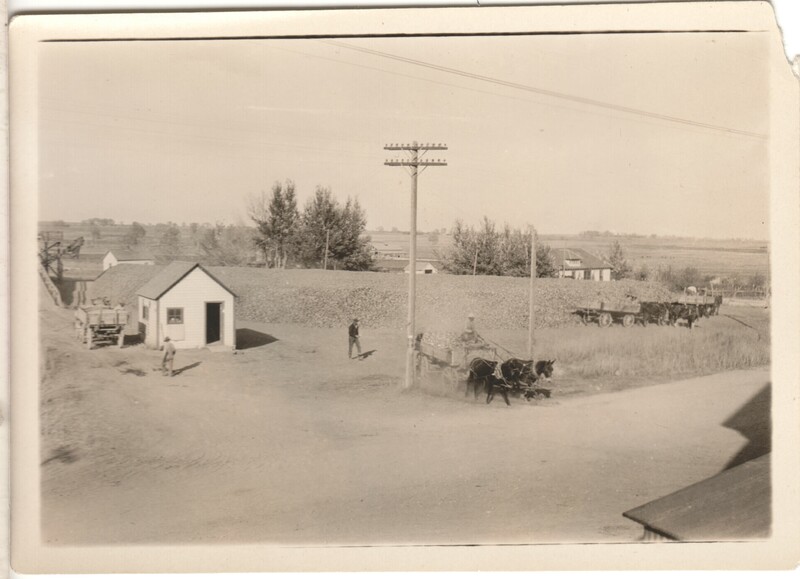 The church was enlarged in about 1929, so the photos are earlier than that.